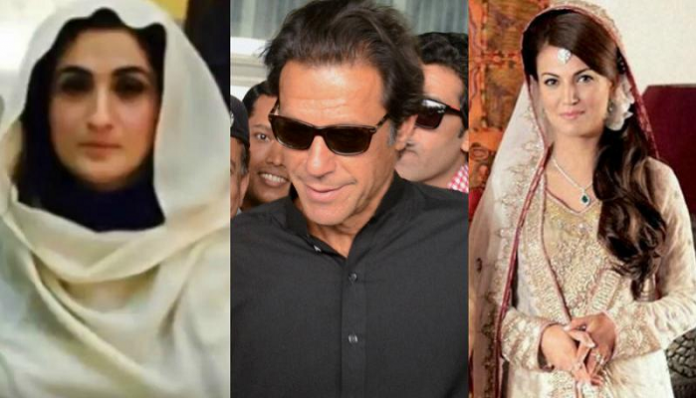 As ex-wife Reham Khan slammed Imran Khan, here’s what his 3rd wife Bushra Maneka said…. PAKISTAN Tehreek-e-Insaf chPakistan Tehreek-e-Insaf chief Imran Khan’s wife Bushra Maneka has congratulated the whole nation for choosing a leader who is committed to work for welfare of the common man. The Pakistan Tehreek-e-Insaf (PTI) is poised to form the government at the center with the party chairman Khan already having claimed victory on Thursday in his first public speech. The PTI has bagged the highest number of seats in the general elections marred by a tediously slow vote count and resulting in allegations of rigging. “Allah Almighty had given the nation a leader who takes care of the rights of the people,” Bushra was quoted as saying by the TV channels. Greeting the widows, the poor and orphans, the PTI chief would also safeguard the lives of the citizens of Pakistan, she said. Khan said in his address that he envisioned to set up a Medina-like welfare state which will be sympathetic towards widows and the weaker sections of the society. “I want to share the kind of Pakistan I envision – the type of state that was established in Madina, where widows and the poor were taken care of,” the 65-year-old cricketer-turned-politician said. Khan’s ex-British wife Jemima yesterday congratulated him and praised his “tenacity, belief and refusal to accept defeat”. Bushra is Khan’s third wife. She is a leading scholar and spiritual guide in the mystic Sufi branch of Islam. After his divorce from British heiress Jemima, Khan got married to former BBC presenter Reham Khan who was also British. But their relationship fell apart after 10 months in 2015 with Reham later accusing Khan of being bisexual, taking hard drugs and adultery in her recent book.